Chengdu Seasun Shiyou Technology Co., Ltd.
Shanghai Giant Network Technology Co.,Ltd. 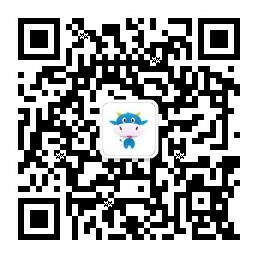 Shanghai Netease Cuican Network Technology Co.,Ltd. Glory Esports(Guangzhou) Network Technology Co., Ltd.
FMB （Shanghai） Robotics Co., Ltd.
Shanghai Feng Xiao Culture Communication Co., Ltd.
Hua Xi joy (Beijing) Technology Development Co., Ltd.
Hangzhou MiMeng Cultural and Creative Co., Ltd.
Xiamen Lizhijia Network Technology Co., Ltd.
Guangzhou Tianwen Kadokawa Animation & Comics Co.,Ltd. Wuhan Fulu Network Technology Co., Ltd.
Xiamen Dianchu Technology Co., Ltd.
Carl Zeiss Vision (Guangzhou) Ltd.
Sennoe Network Technology Co., Ltd.
China Digital Registration Internet Technology Co.,Ltd. Beijing Crazy Sports Industry Management Co.,Ltd. Toshiba Devices & Storage (Shanghai) Co., Ltd.
Shanghai Flydigi Electronics Tech Co., Ltd.
Motionbit Technology (Shenzhen) Co., Ltd.
Shanghai Jin Jia fan science and Technology Co., Ltd.
Fu Zhou Xuan Zhi Jing Internet Technology Co., Ltd.